Anime Expo is usually home to some of the year’s best cosplay, and 2017 was no exception. While we’ll be providing a bigger roundup of the whole show next week, I wanted to go early with this incredible shoot featuring a Nintendo x Diablo crossover. 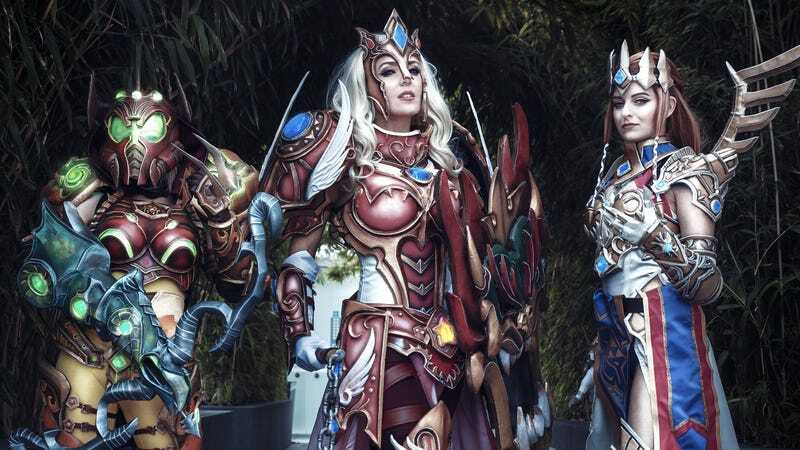 In case you can’t make it out, what you’re seeing here are three Nintendo stars—Samus, Peach and Zelda—portrayed in the style of Diablo classes, with all the pointy armour and weaponry that involves. Samus is Danielle Beaulieu, Peach is Jessica Nigri and Zelda is Friscoblondie. Photos are by Mineralblu, Elysiam Entertainment and Dave Yang.